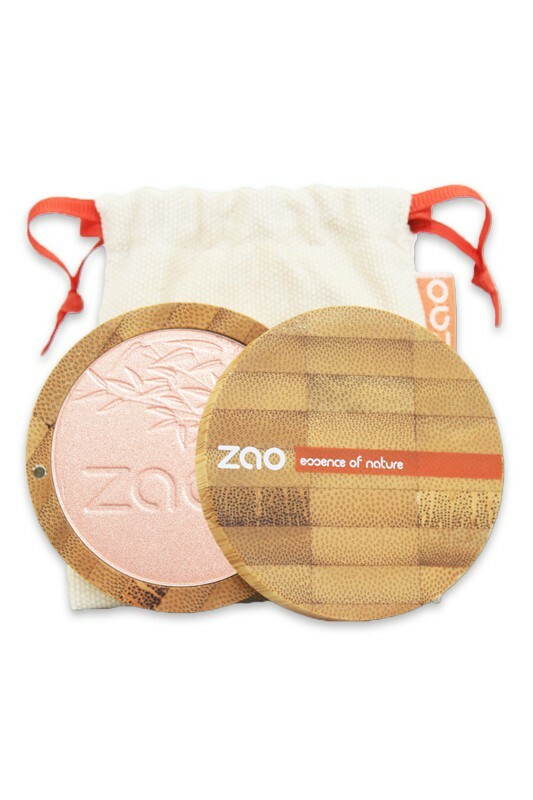 2 in 1, the Zao Vegan Shine-up Powder is an highlighter, real iridescent magic powder that gives radiance to the eyes and parts of the face with its ability to capture light. Free-talc, the Powder texture makes it suitable for all types of skins even the oily one's and guaranteed a glowing effect with lightness. Shine Up Powder Zao has to be applied after silk or powder foundation. My skin is pretty fair and I think this shade blends in so beautifully. It's more like rose gold/champagne pink colour and definitely natural sheen kind of highlighter/blush topper. If you prefer I'm sure you can build it up a bit too. I really like the product, I don't own anything like it so it's nice add to my little collection. I will definitely recommend this, especially for someone who is trying out highlighters for the first time. 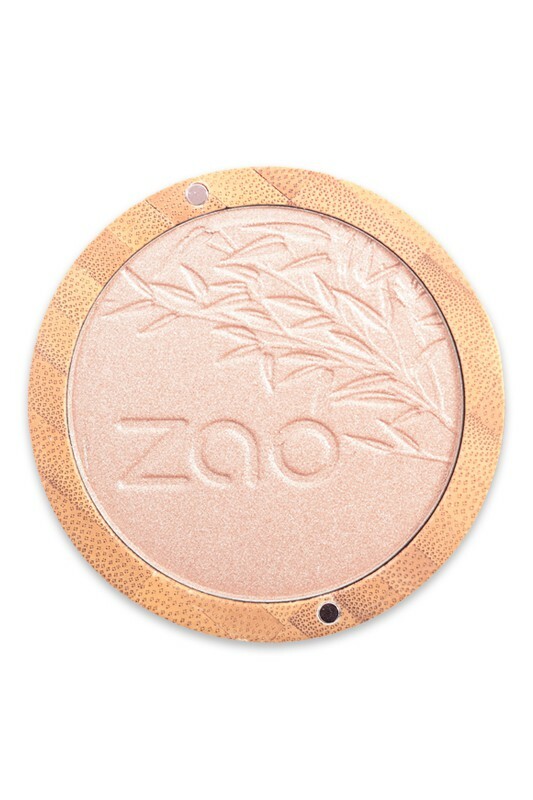 How to highlight your face using Zao Vegan Highlighter ? 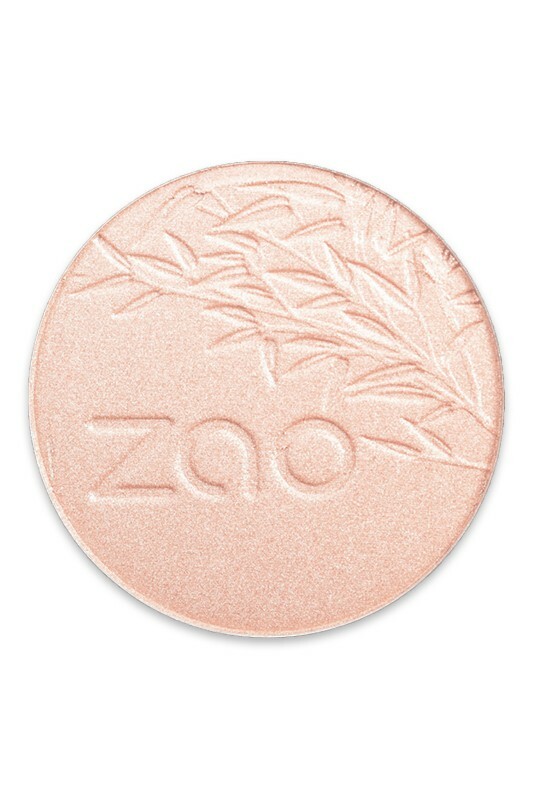 You can use your fingers or use Blush Brush on the face to apply Zao Shine Up Powder onto your cheekbones, center of forehead, shoulders and decolletage. Anywhere you want to add a glow ! For precisely zones : You can also use Blending Brush or your fingers too to highlight browbone, bridge of your nose and cupid's bow. 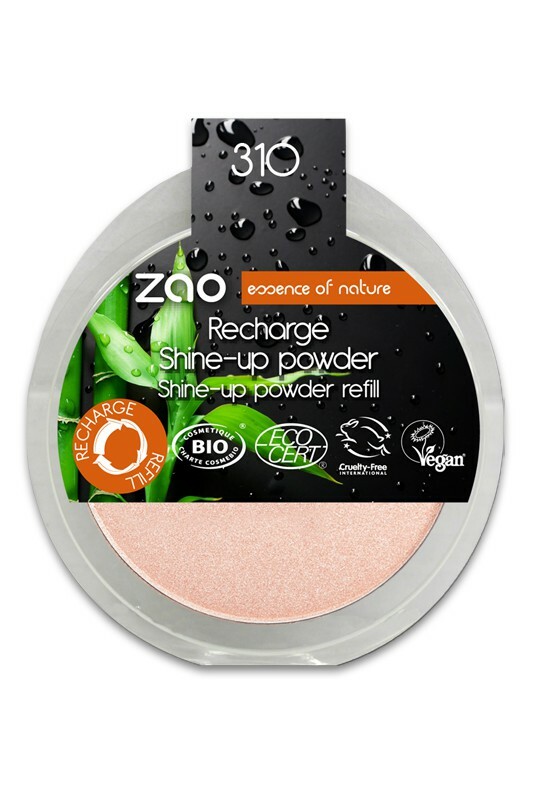 Free-Talc & riche formula into Vegan Shine-Up Powder ZAO ! MICA, SQUALANE, ZEA MAYS STARCH (ZEA MAYS (CORN) STARCH)*, ORYZA SATIVA POWDER (ORYZA SATIVA (RICE) POWDER)*, ZINC STEARATE, OLIVE OIL DECYL ESTERS**, PARFUM (FRAGRANCE), TOCOPHEROL, SQUALENE, BAMBUSA ARUNDINACEA STEM POWDER, LINUM USITATISSIMUM SEED OIL (LINUM USITATISSIMUM (LINSEED) SEED OIL)*, GLYCINE SOJA OIL (GLYCINE SOJA (SOYBEAN) OIL),* CI 77820 (SILVER), alpha-GLUCAN OLIGOSACCHARIDE, BISABOLOL, AQUA (WATER), OLEA EUROPAEA LEAF EXTRACT (OLEA EUROPAEA (OLIVE) LEAF EXTRACT), ALCOHOL, MALTODEXTRIN, OLEA EUROPAEA EXTRACT, ZINGIBER OFFICINALE ROOT EXTRACT (ZINGIBER OFFICINALE (GINGER) ROOT EXTRACT). MAY CONTAIN +/-: CI 77891 (TITANIUM DIOXIDE), CI 77491 (IRON OXIDES), CI 77492 (IRON OXIDES), CI 77499 (IRON OXIDES). Très joli highlighter ! Tiens bien. En été, avec de très forte chaleur peux faire légèrement caky en fin de journée mais sinon ne bouge pas. Une étoile en moins pour le choix de teinte de Zao....le rosé ne va pas forcément à tous le monde. Vivement d'autre teinte adapté à plus de type de carnations. j'adore ce nouveau produit. Le coté irisé illumine le teint, à utilisé par touche subtil comme dit dans la description. Encore un produit de chez Zao qui sera un Basic de ma trousse à maquillage.